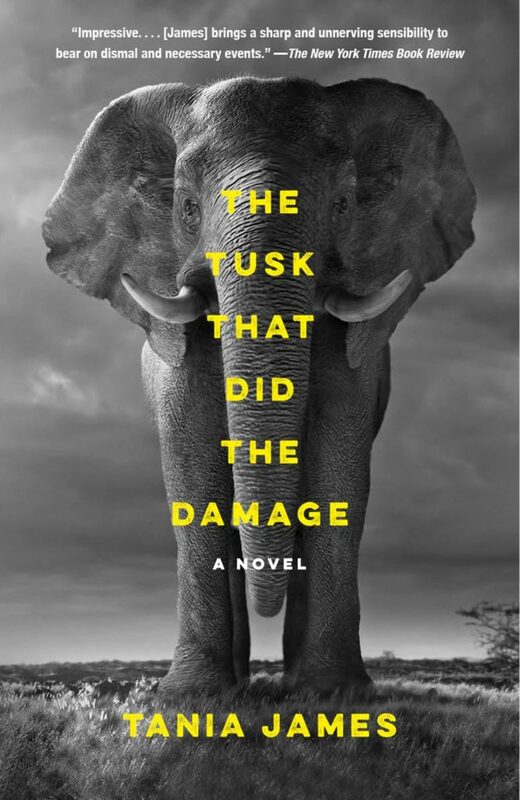 In my pursuit to find contemporary animal-themed fiction, I came across a remarkable novel called The Tusk That Did the Damage by Tania James. It is told in the alternative voices of an elephant, a poacher and a filmmaker – each of whom provide a different perspective on the state of conservation in India. The elephant is nicknamed The Gravedigger. Orphaned by poachers as a calf and sold into a life of labor, he has finally escaped the abuse by one of his caretakers and has gone on a deranged rampage in the Indian countryside leaving human victims. The poacher is the younger son of a poor rice farmer drawn into the money-making world of poaching. Into the story is thrust an idealistic young American filmmaker who is trying to capture the inner minds of elephants. It is, ultimately, only the Gravedigger who reveals to the reader his feelings, both about his brutal treatment at the hands of men and his kind thoughts for the few who cared for him as best they could. For animal lovers, the book is a heartbreaking reminder of the tragedy of the ivory trade. Yet, James brings to the table the complex and difficult lives of the farmers whose hard-won crops are destroyed by elephants and the porous boundary between conservation and corruption. At times the novel reads like a dream from which one cannot wake. It intertwines fantastical myths of how elephants once had wings with the dismal reality of the small, hot, and dusty offices of beleaguered conservation wardens. And it does all of this in arrestingly original prose. It is a sad statement that we have been unable to stop the slaughter of these amazing, majestic animals. Yet while this compelling and emotional book cannot give us much hope that things will change, it does offer a chance to see all the sides of this calamitous story.